The deadline for paying the first installment of your Cook County 2017 property tax bill looms ahead on March 1. Unfortunately, there’s nothing you can do to lower this bill. However, there is a way to lower it by hundreds or thousands for next year’s second installment: appealing. We recommend appealing your assessment every year to be sure that you are not paying more than your fair share of property taxes, but do you hire an expert or do it yourself? Read on to learn more about the pros and cons of hiring an expert vs. DIY, and tips for doing it right if you do it yourself. Because we’ve successfully helped appeal property taxes for over 24,000 Cook County homeowners, we recommend using an expert to be sure you get the biggest reduction you can. Your assessment is the basis for determining how much money you’re going to have to pay to a long list of taxing agencies, so every reduction creates property tax savings. However, we know how hard it can be for some do-it-yourselfers to pay someone else to do it, even if that means risking a loss or a smaller win. We get it so, if you’re committed to tackling the DIY property tax appeal, we have a few tips to share to boost your chances of success. 1. Determine whether your property may be over-assessed. The simplest way to find out if you’re paying too much is to consult a Kensington Research and Recovery expert for free. 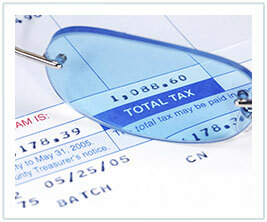 We offer a free, no-obligation assessment of your property tax situation. 2. Identify which of Cook County’s 38 townships your home is in. 3. Keep track of the deadlines for appeals from your township, both for the Cook County Assessor and Board of Review. 4. Determine which appeal is best for your property. There are three main arguments you can use: comparable sales, lack of uniformity or economic value. The economic value argument applies only to income producing properties and requires three years’ of income and expense information. To make an argument based on comparable sales, look up recently sold homes in your area using sites like Zillow or Redfin. Your comparable homes should share key characteristics with yours including similar square footage, lot size, location, construction type and number of bedrooms and bathrooms. If the assessor has valued your home higher than the recent sales prices of comparable homes, you can make an argument for reducing your assessment. If you determine that your home has been assessed at a higher assessed value than similar homes in your neighborhood, you can argue a lack of uniformity in assessed values. 5. File your appeal online with the Cook County Assessor’s Office, including your analysis of comparable properties. Wait a few months to learn the results. 6. For best results, research additional property value data after your assessor appeal and appeal to the Board of Review. If similar homes near you appealed at the Assessor and won, they may now be a good or better comparable property for you to use in appealing to the Board of Review. Even if you received a reduction in your first appeal, you may receive additional reductions at the Board of Review. Remember What We Said About Missteps? It’s not easy. But we’ll be here if you change your mind – we can also help you appeal at the Board of Review if your appeal win at the Assessor falls short of the reduction we estimated. If we don’t win, you pay nothing. The ball’s in your court, so let us know if we can help.